1 Rinse and dry mint. 2 Pluck off the leaves and chop coarsely. Squeeze the lemon. 3 Mix 2 tablespoons of lemon juice, honey and 1 tablespoon of oil with the mint. 4 Rinse and dry the zucchini. Cut diagonally into 1 cm (1/2-inch) thick slices. 5 Heat a grill pan and brush with oil. 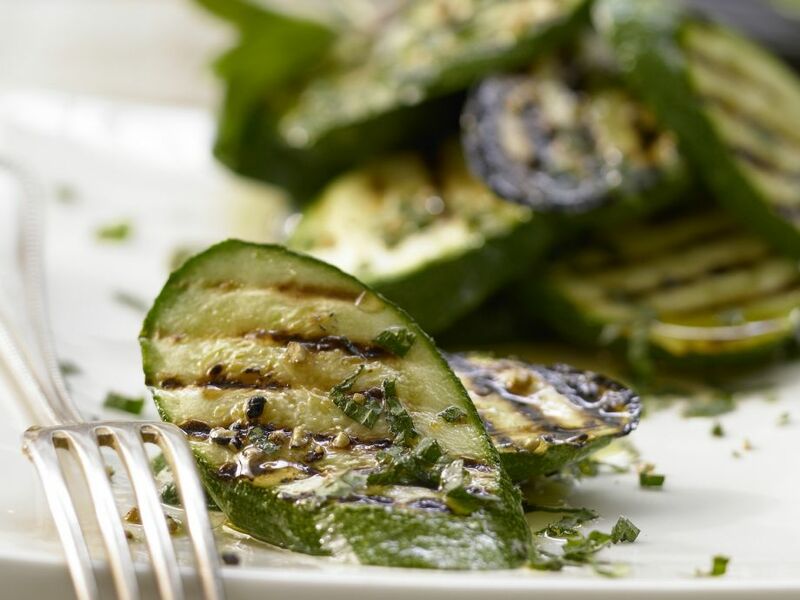 Grill each side of the zucchini slices for 2-3 minutes. Place in a bowl and season with salt and pepper. 6 Pour marinade over the hot zucchini slices. Mix well and let sit for 1 hour. Season to taste before serving.